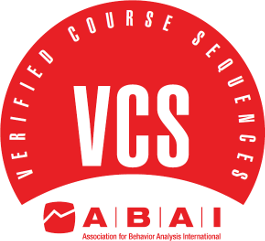 A Verified Course Sequence (VCS) is a set of courses that has been verified by the Association for Behavior Analysis International as meeting specific coursework requirements, content hours, and faculty standards. Verification is not accreditation. Verification indicates that coursework meets the minimum content-hour requirements for eligibility criteria. Accreditation is a peer-review process guided by standards in which a program completes a comprehensive review of the overall coursework, faculty, research, curriculum, experiential learning, and outcome measures of the overall program. Although complete programs that contain a VCS may apply for accreditation from ABAI, it is not required. 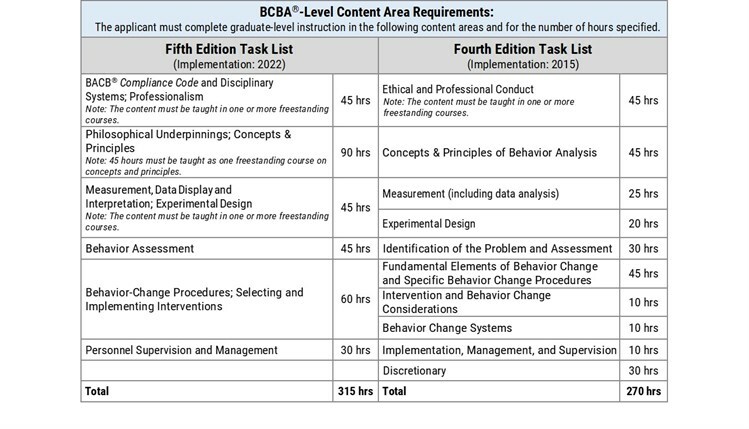 Verification of the course sequence meets coursework eligibility criteria for either BCBA Option 1 or BCaBA coursework requirements as part of the application for BACB examinations. Applicants will need to meet additional requirements before they can be deemed eligible to take the examination. Completion of a Verified Course Sequence may not grant completion of a degree; a university or institution awards the degree after all institutional requirements are met. Completion of a Verified Course Sequence does not grant approval of an examination application. Each application is reviewed by the BACB and include additional requirements. 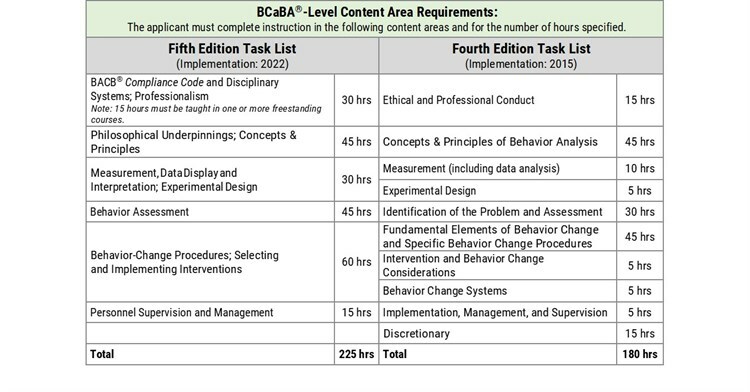 Completion of a Verified Course Sequence does not award BACB certification. Certificates of completion provided by a program or university are not to be confused with BACB certification.